In Destin Florida, there are many Attractions, Activities, and Things to Do while on vacation. The newest driving vacation destination hot spot, Destin, Florida is filled with activities ranging from dolphin sightseeing cruises to world class golf, fishing and much more! 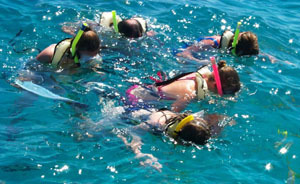 The Emerald Coast is a favorite destination for families with many family friendly attractions, to. The amazing white sand beaches of Destin are truly spectacular with their "sugary" softness. The sand was created from pulverized quartz, washed and delivered by river all the way from the Appalachian Mountains. The quartz origins contribute to its luminous brightness and the way it squeaks when you walk on it. After a long day of relaxing on one of Destin's beaches, there are many other fun activities. There is a large amusement park, a shipwreck-themed water park, a popular upscale outlet shopping center, sunset sail, fishing charters, art galleries, Theaters, water sports, and numerous golf courses and lots more. View our list of attractions for great things to do on your Destin vacation.